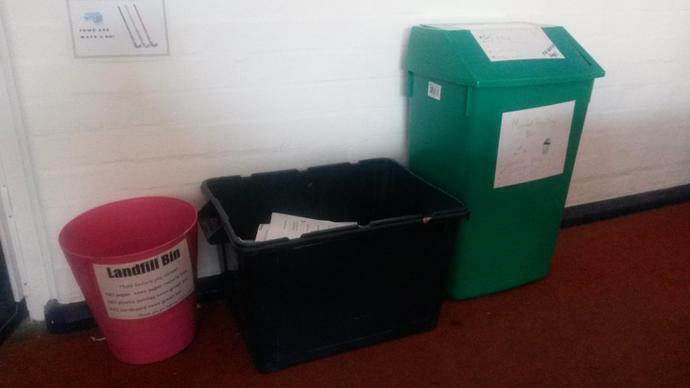 Each classroom has a paper bin for recycling paper and light card, a green bin for mixed recycling (including thick cardboard and plastic bottles) and a landfill bin, which we are glad to say has a lot lighter use now we send more to be recycled. We have also introduced a 'Dead Pen Box' where we put all our pens that have run out. They can then be sent off to Terracycle to be recycled. See the Terracycle tab for more information on this. Yes! We are definitely recycling more as our landfill bins have less in them. We have had a few teething problems remembering which bins to put things in, but the Eco Council made signs to stick to each bin, clearly labelling them to help everyone. 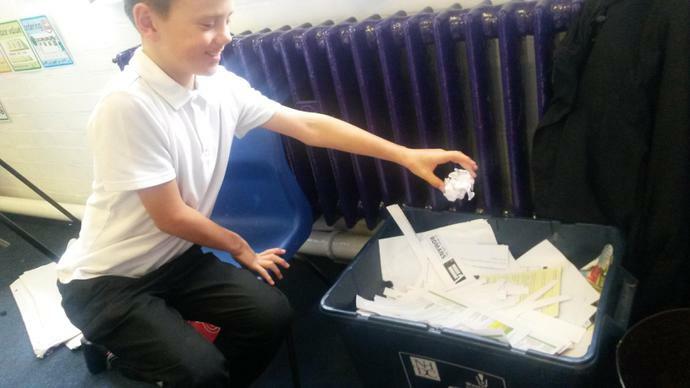 Y6 eco councillors work hard monitoring the classroom bins to check they are being used correctly. 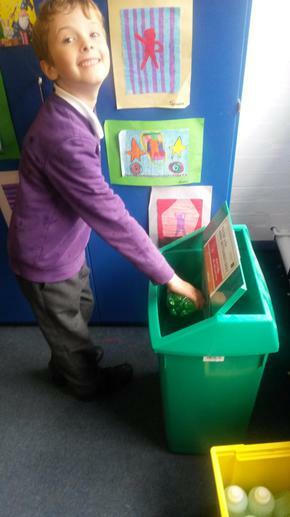 Thank you also to the dedicated children who empty our staffroom compost bin every other day into our outside Composters, so that gardening club can use it for planting things in the Spring. We are committed to trying to waste as little as possible!